The Application Process for joining the Paradoxian Guard at this time will be the need for PMs (Private Messages) to the current Commander of the Paradoxian Guard, and/or the current Party President at the time of the Application. The Commander and Party President are subject to change, so be sure to find our who is in those position at the time of your application. If you PM the wrong person, your Application will not be taken, or processed. Do you currently have weapons and/or moving tickets? If yes, how many of each (W/MT)? 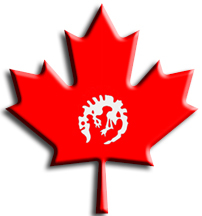 Are you a eCanadian Citizen, and affiliated with the Canadian Paradox Party? Once you've filled all that out, in the appropriate order, and send you PM to the the appropriate person, your application will be processed and reviewed as soon as possible and an answer will be given in like manner as it was received.